A video projection, sound producing mechanism. On two adjacent walls, a video is projected. 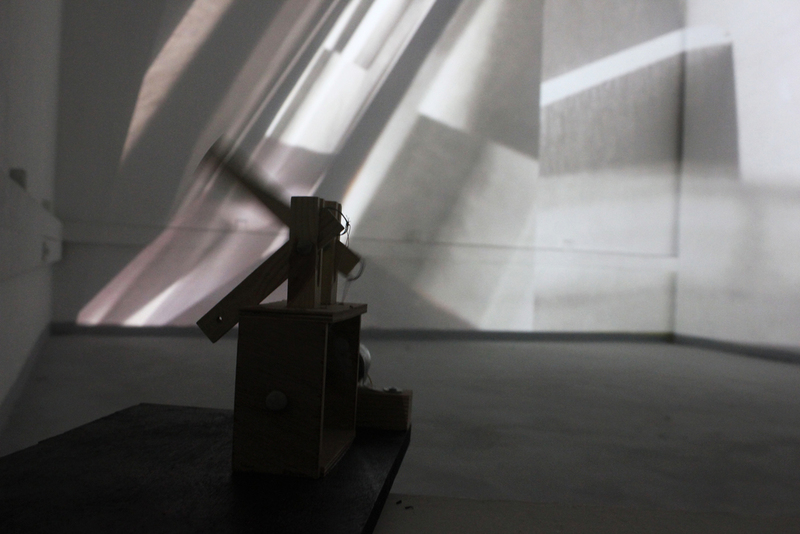 The position of the projection distorts the video and the internal movement becomes slow and imperceptible. In the corner of the room, an automatic mechanism that produces repetitive creak sound.